A panel of ethics experts will discuss how to navigate the disciplinary process and share their experiences on the importance of serving on an Ethics Committee and the Disciplinary Review Board. The seminar is sponsored by the Garden State Bar Association, the Association of Black Women Lawyers, and the American Inns of Court. Rocky L. Peterson, Esq. is a partner in the Princeton, N.J. office of Hill Wallack LLP and a member of the firms’ Litigation Division. Mr. Peterson is partner-in-charge of the firm’s School Law and Municipal Law Practice Groups. He concentrates his practice in general litigation, municipal law, school law and labor and employment issues. 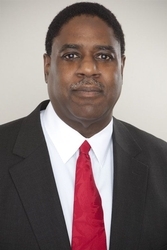 He represents municipalities, district boards of education, community colleges and other public entities. He previously served as chair of the disciplinary review board.